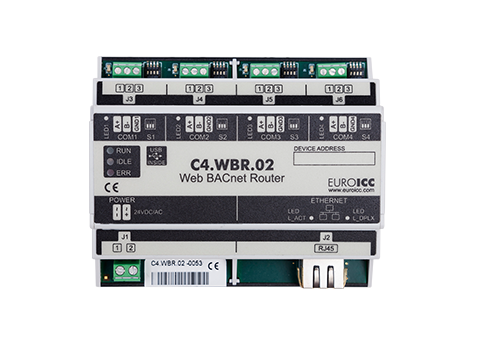 Web BACnet router represents a connection between rooms and hotel monitoring system, using a BACnet protocol to connect to controllers and TCP/IP to further connect to the network. 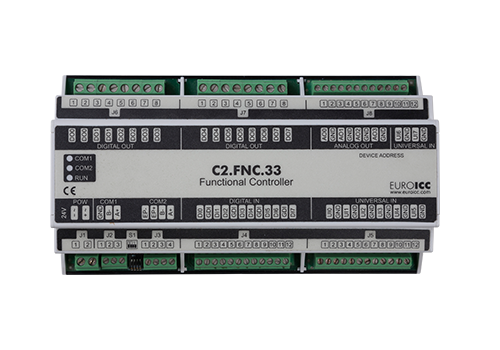 Master Controller can be chosen from a variety of our controllers depending on requirements. 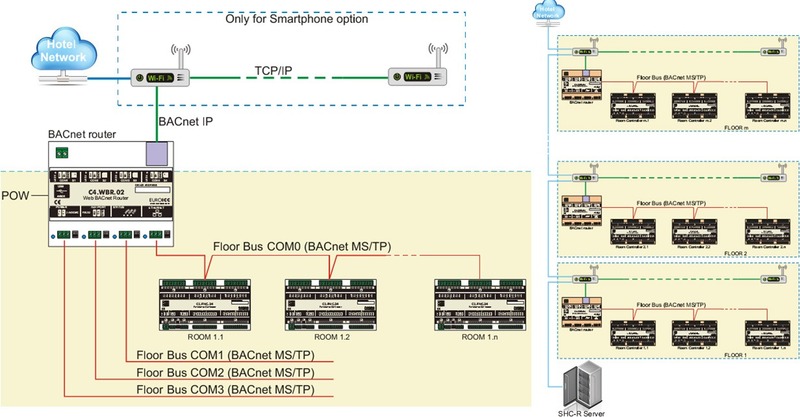 The user may mix and match various IO resources (binary or universal inputs, binary or analog outputs and communication protocols (Modbus and BACnet MSTP). Room units are defined based on needs, design, technical solution, etc. They are luxurious glass touch panels. Depending on the room configuration, they can include a card holder, corridor panel, thermostat units, bedside panels, and much more. There is also a wide selection of colors and pictogram designs to choose from. Room units are connected to a controller via Modbus protocol.